What do 당신 like 더 많이 about Mulan? 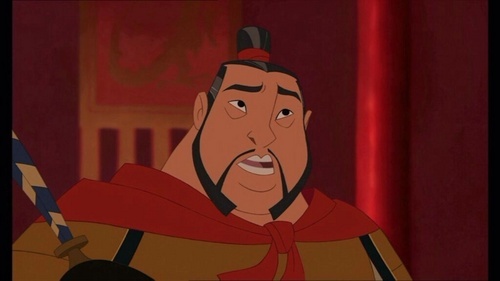 Which 디즈니 Princess is the opposite to Mulan? do 당신 like the 초 film? What is your 가장 좋아하는 song from Mulan? What is Mulan's Hair Type? Straight, Wavy, 또는 Curly? Hello, everyone! I'm going to rank the outfits 뮬란 wears throughout her movie in this article. Let's get started. I like it but it's nothing that much special. The other dresses are definitely 더 많이 beautiful. This is just the outfit she wears as a soldier. This one actually fits 뮬란 a lot and she looks prettier wearing this at the end. 사무용 겉옷, 전반적인 it is lovely. I 사랑 how selfless (not so much though), caring and self-sacrificing she is. I admire her for fearlessly joining the army to save her father and to prove that she can do things right. She doesn't give up easily first, when Shang told her that she was unsuitable she was about to go but she looked back and tried. Secondly, when they found out she was a girl she almost gave up but after knowing that the huns are alive she knew what to do. I don't think she's lazy like some people would say. I like that she tried hard to make her family proud. I haven't ever seen the whole 뮬란 Jr. but I have listened it's songs many time. First I was just bored and was going to make simple 투표 but I realised there's too many options which most of people should listen. Most of 뮬란 jr's songs are different versions of 영화 songs 또는 deleted songs. I don't know if this is review 또는 comparison between the play and the movie 또는 something else, I just started to write. I thought this might interest some people and I had actually quite fun. I found most my information from link (great webside 의해 the way) and some I checked myself. I put meanings really simply here so if 당신 want to read 더 많이 detais watch link above. Please correct me if any name is wrong 또는 there's 더 많이 meanings in it. All pictures are made 의해 me, partly because I felt I otherwise get away with this too easy (just copying another site) and partly because I have this strange obsession to draw. There are, of course, plenty of 영화 to play with gender roles and attempt to make a point about the equality of men and women. However, I personally find 뮬란 to be the most successful of these films (at least of those I’ve seen.) I think it does a very good job of highlighting the issues without preaching about them, but 더 많이 than anything else, I think the way the characters and their development are handled the best I’ve ever seen them. The sun was rising all over China , the middle kingdom . The rays of the sun touched the valleys , farms , citys , county , and finally , Mulan's 집 . It was going to be the most amazing 일 in Mulan's life . Not too long 이전 , the engagement party had been celebrated and now , it was her wedding .
" 뮬란 ! 뮬란 ! " She turned and saw Mushu . With tears in his eyes , her ran up and hugged her . " I can't believe my big girl's getting married ! " he yelled . " Uh huh . Better not mess us up . " 뮬란 said . So hi every one, this is my very first 기사 so please forgive me if I blew something. This was actually part of my english 포트폴리오 which I made a few months ago. I added few mistakes 더 많이 after that because it really annoyed me that I couldn't find any big 기사 about Mulan's mistakes with pictures. At least I didn't find such thing in 팬팝 so now I made one. The Movie is AMAZING it has iconic characters and who could forget the darling mushu and cri kee and the movie is not based on romance but it still is a good 디즈니 princess movie. I've created a series of 투표 devoted to Ting-Ting, Mei and Su. I think they are interesting and underanalised characters. a comment was made to the poll: 뮬란 또는 Elsa? a comment was made to the poll: Which 디즈니 Princess is the opposite to Mulan? a comment was made to the poll: What do 당신 like 더 많이 about Mulan? a comment was made to the poll: Which 디즈니 Princess is the most similar to Mulan?